Most of the games in this group were on Wednesday as Schio went to Slovakia and beat Good Angels Kosice 69-56. Villeneuve started and ended their game strong at home to beat Dynamo Kursk 78-70 despite a strong performance from Seimone Augustus. The day ended in Spain, where Fenerbahce came back late to beat Avenida 75-70. There was one game on Thursday, as Galatasaray went to Hungary and beat Sopron 76-60. Group A games started in Russia on Wednesday as Dynamo Kursk eventually built a lead on visiting Good Angels Kosice to win 70-49. 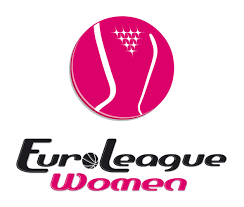 Fenerbahce used a solid second half to beat Sopron 86-69 cancelling out a strong effort from Aleksandra Crvendakic. Galatasaray had a sluggish start in the other game in Istanbul, but toughened up on defense to only allow Villeneuve to score 15 points in the final quarter after allowing 20 points in the first quarter for a 59-35 win. Jewell Loyd led the way in the victory, but the team was also glad to see Nevriye Yilmaz return to the court. Schio closed the round on Thursday in Italy with an 88-70 win over Avenida as Jolene Anderson put in one of the strongest individual performances of the week. Group B started the action on Wednesday as Abdullah Gul University welcomed Girona to Turkey and won 79-69 despite the best efforts of Chelsea Gray. Defending champions USK Praha pulled away from Wisla Krakow in the second half to win 64-40 in the Czech Republic. They got immediate help from the return of Sonja Petrovic to the lineup as their Polish visitors remain the only winless team. The day closed with Nadezhda winning 71-61 in France over Bourges as the duo of DeWanna Bonner and Kayla McBride led the way. On Thursday, Castors Braine put in a creditable effort in Russia against UMMC Ekaterinburg, but the Phoenix Mercury duo of Brittney Griner and Diana Taurasi kept their team undefeated with a 75-70 win. 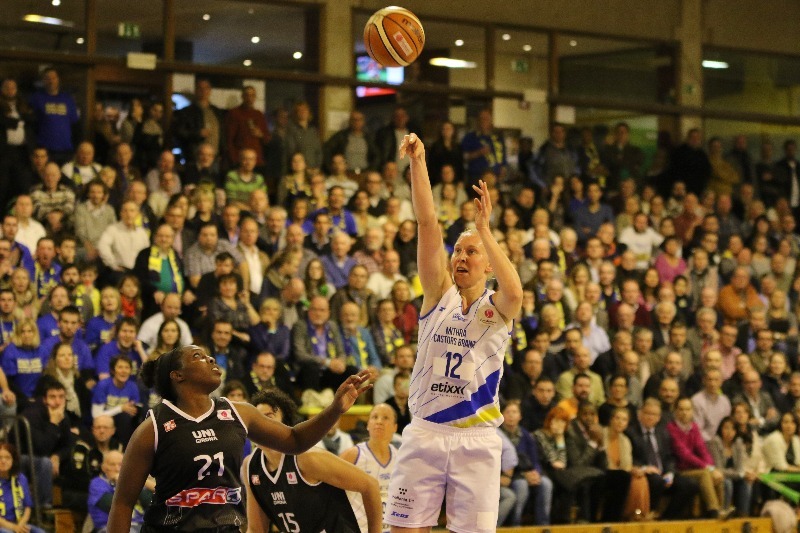 Games this week got a rare Tuesday start as Castors Braine built a big lead on their Spanish visitors in Belgium on their way to a 73-60 win. Defending champions USK Praha are still trying to get their healthy full strength roster together as they were unable to win in Orenburg in Russia as Nadezhda held on by a 58-54 margin. The team they beat in the final, UMMC Ekaterinburg, remains the only unbeaten team after they dominated the second half in Poland to win 88-52 over Wisla Krakow, which stays winless. An exciting game in France closed Wednesday Group B action as Bourges needed overtime to overcome their visitors from Abdullah Gul University 63-57, earning their first win of the season and handing the Turkish team their first loss. All of the Group A games were on Wednesday, starting in Russia, where an overwhelming performance by Nneka Ogwumike powered Dynamo Kursk past their Italian visitors 63-58. It was also close in Slovakia as Good Angels Kosice welcomed Turkey’s Galatasaray and won 54-59. Sopron built an early lead in Hungary, but Spain’s Avenida fought back and nearly completed a comeback before losing 73-67. Fenerbahce made the trip from Turkey to France and trailed heading into the final quarter at Villeneuve before a huge run helped them to a 69-55 win to close out another exciting week of EuroLeague action as teams continue to fight for quarterfinal spots.